Esbit Ultra-light Fold Flat Stove is a 3 sides wall solid fuel stove offering support for your Esbit Titanium Pot or MSR Titanium Kettle. It is stowable in its supplied nylon bag with belt loop and desinged for use with Esbit 14g solid fuel tablets (not included). 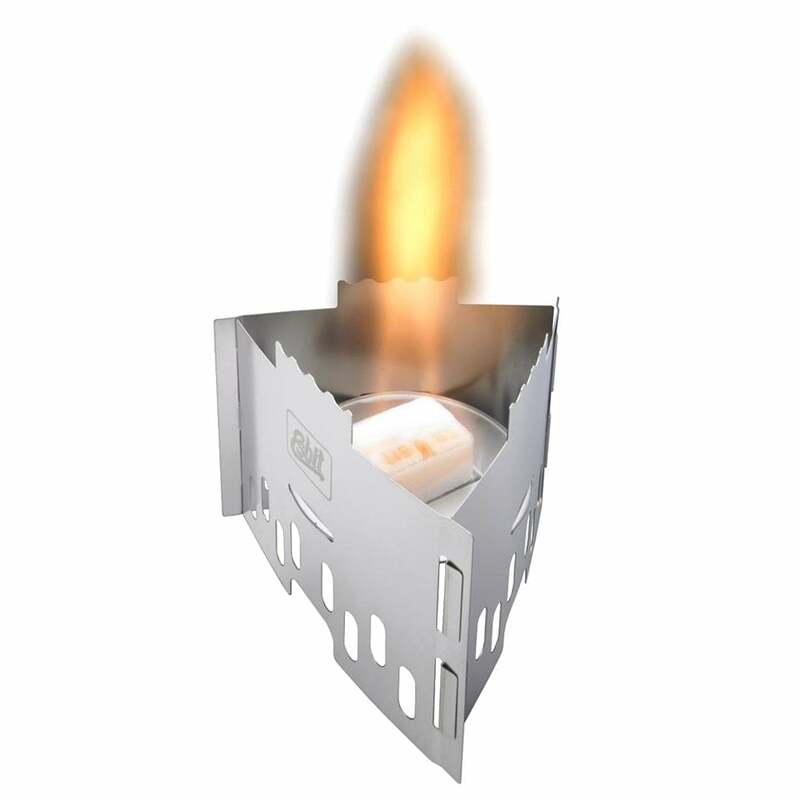 Alternatively also suitable for Esbit alcohol burner .Ultra-light - Made of high-grade stainless steel - 3 side walls - Solid fuel support - Nylon bag with belt loop - For use with Esbit 14g solid fuel tablets (not included) - Alternatively also suitable for Esbit alcohol burner . A great little stove for your adventures!